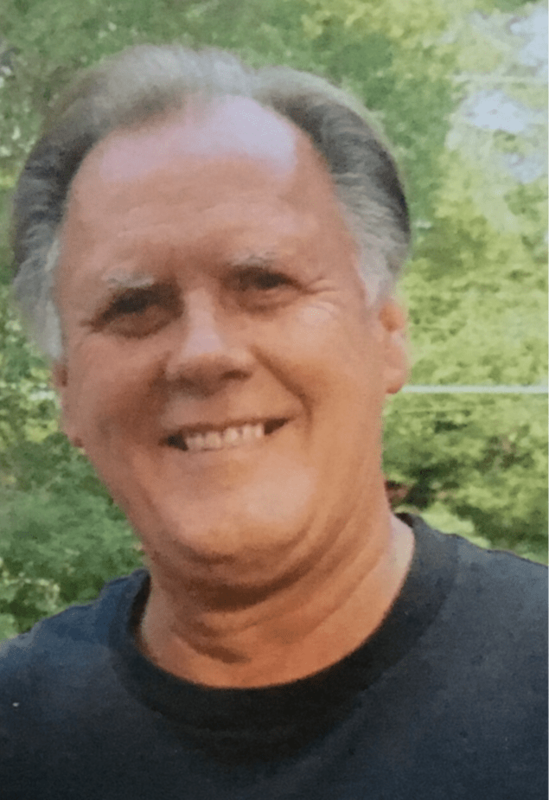 Tom W. Galbraith, 71, formerly of Farmington, passed away on Saturday, Nov. 17, 2018 at McLaren Northern Michigan hospital in Petoskey, with his family by his side. He remained strong and hopeful throughout, but eventually lost his battle with brain cancer. Tom was born on Jan. 3, 1947 in Gaylord, MI. He was the only son of Deo and Edna (Small) Galbraith, who preceded him in death. He spent his younger years in the Gaylord area and the family eventually moved downstate to reside in Farmington, MI. On Sept. 18, 1976 he was united in marriage to Lynn (Donner) for 19 years and from this union three daughters were born, Courtney (Galbraith) Drefahl, Christine Galbraith and Cynthia (Galbraith) Warren. Tom worked at Bethlehem Steel and later became a salesman in the Detroit area for Taystee Bread and Wonder Bread, where he remained for over 20 years. After retiring from Wonder Bread he continued to work in the selling of after market car parts. Tom loved to work and stayed very busy and active throughout his life. He loved to dance and in early years even made appearances on Detroit’s Club 1270 and at the Walled Lake Casino. He had a profound love of Motown music, particularly the Temptations. He was also a very gifted bowler. He enjoyed playing softball, euchre and spending time at the horse racetracks. He was an avid sports enthusiast, enjoyed fishing, watching football and baseball. He loved to attend sporting events, especially for his daughters and grandchildren. He also spent a lot of time golfing in recent years, leisurely and in leagues or tournaments with his close friends. Above all, Tom was a very loving and devoted father, grandfather and friend. Family meant the world to him and he stayed very involved in the lives of his daughters and grandchildren. He will be fondly remembered as a very social person, making lifelong friends wherever he went. His humor and quick wit will be missed by all who knew him. Memories and stories of Tom will forever be a part of the lives he touched. Tom is survived by his three daughters, Courtney (Daniel), Christine, Cynthia (Mark); grandchildren Brooke Warren, Camden Warren, Nolan Drefahl and Evan Drefahl. The family will receive friends from 4 to 8 pm on Friday, Nov. 30, 2018 at Nelson Funeral Home located at 135 N Center Ave, Gaylord, MI, 49735. Tom’s memorial service will be held on Saturday, Dec. 1, 2018 at 2 pm at Mount Hope Church, 1672 M-32, Gaylord, MI 49735. Memorial contributions may be made to the Neurological Unit at Ascension St. Mary’s Hospital of Saginaw, 800 Washington Ave, Saginaw, MI 48601. Sorry to hear about the loss of Tom. May God give the family the strength needed to endure. Soon God will use Jesus to end all suffering, including the pain we are feeling and he will wipe out every tear from our eyes, and death will be no more, neither will mourning nor outcry nor pain be anymore. It is with a heavy heart that I report to you the passing of our dear friend and fellow Golfer Tom Galbreath. Tom died peacefully with his family up north. He will definitely be missed by all. Our thoughts and prayers are with Tom and his family and friends🙏🙏. Please accept my heartfelt condolences on the loss of your father and grandfather. I’ve played in a lot of softball tournaments with Tom’s daughter, Chrissy. I enjoyed seeing Tom when he would come up and watch us play, cheer us on or even coach 1st or 3rd base. He would even offer pointers if you asked him. 🙂 He loved ball, but especially enjoyed watching his daughter’s/grandchildren play. I will miss our conversations about the Tigers. Condolences to the Galbraith, Drefahl and Warren families. He will be missed. May his soul rest in peace. So sorry to find out about Tom when I tried to call him today. Still hard to believe. My condolences to the family of Tom. He surely will be missed!